and its mission to preserve, present and promote Jazz. 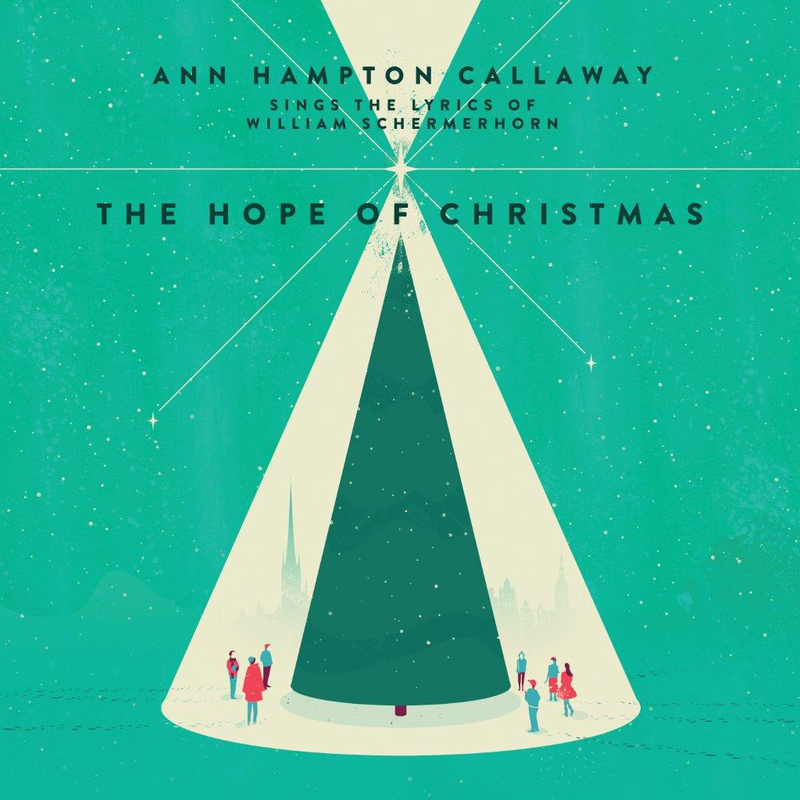 THE HOPE OF CHRISTMAS is a new collection of Christmas songs interpreted by multiplatinum- selling singer, Tony nominated actress, pianist and leading champion of the American songbook, Ann Hampton Callaway, with lyrics by two-time Emmy® Award winner William Schermerhorn, and featuring twenty-nine of the world’s best jazz musicians, including Five Play, New York Voices, Hubert Laws, Claudio Roditi, Gerald Albright, The Ted Rosenthal Trio and more. The recording will be released on Friday, October 9 by the MCG Jazz record label (Marty Ashby, producer). Composers for the twelve songs on the recording are Ann Hampton Callaway; Milton Delugg (Orange Colored Sky, Just Another Polka); Mary Ehlinger; two-time Emmy® and five-time Grammy® Award- nominated entertainer Michael Feinstein; Stephen Fox; Emmy® & Tony® Award-nominated composer Matthew Sklar (Elf, The Wedding Singer); and Emmy® Award-winning composer Wesley Whatley (Yes, Virginia, There’s A Santa Claus). Featured tracks to include the title song The Hope of Christmas with music by Ann Hampton Callaway and lyrics by William Schermerhorn. Performed by Ann Hampton Callaway and New York Voices. All proceeds from the sale of this CD to go directly to support the MCG Jazz program and its mission to preserve, present and promote jazz. MCG Jazz, mcgjazz.org, is a social enterprise of Manchester Craftsmen’s Guild, a subsidiary of Manchester Bidwell Corporation, a non-profit arts and learning center. The eighteen-month collaboration between singer, lyricist and record producer to bring THE HOPE OF CHRISTMAS to the public has kept the holiday season and its inspiring message at the forefront for the many artists involved. Starting with a list of approximately thirty songs, the Ashby-Callaway- Schermerhorn team ultimately came up with the dozen songs (including two brand-new compositions by Callaway/Schermerhorn) that make up the playlist. With the exception of the Emmy® nominated song I BELIEVE, which was first performed by Kermit the Frog and released as a single with Kermit the Frog and Disney star Tiffany Thornton, the songs on THE HOPE OF CHRISTMAS recording will be available to the public for the first time in these dynamic, all- new jazz arrangements by Jay Ashby, Marty Ashby, Callaway and Mike Tomaro.